The Bitcoin protocol was developed by Satoshi Nakamoto. Bitcoin is a digital currency. It is effectively run online via a peer-to-peer system without an authority governing its usage. In fact, people who are part of the peer-to-peer system actually authenticate transactions and create Bitcoins through the process of mining. While, the lack of an authority can seem advantageous, i.e. there is no one to prohibit the growth of the currency, it can also be disadvantageous as there is no one to prohibit the misuse of the currency. The original Bitcoin protocol was Satoshi Nakamoto. Nakamoto also created the reference software, Bitcoin-Qt. However, Satoshi Nakamoto is not a real person. The name is a pseudonym that refers to the person or the group that created the Bitcoin protocol. In 2008, a paper was published on The Cryptography Mailing list at metzdowd.com under the name of Nakamoto. The paper was the first describing the Bitcoin digital currency. Then in 2009, Nakamoto released the first Bitcoin software that launched the network and the first units of the Bitcoin currency. Nakamoto and his team then helped other developers set up the Bitcoin infrastructure until mid-2010. Nakamoto then began to give all original Bitcoin properties and alert key functions of his software to Gavin Andresen. However, Nakamoto is believed to still be in the possession of approximately one million bitcoins, which in December 2013 have the value of 1.1 billion US dollars. 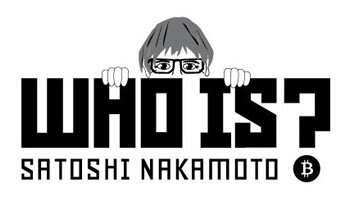 While the name Satoshi Nakamoto is Japanese, many doubt that he is actually Japanese. This doubt stems from the fact that Nakamoto is known for speaking using British English colloquiums and that the Bitcoin software is not documented nor labeled in Japanese. Over the years, there have been many people who have been believed to be capable of being Satoshi Nakamoto. However, each candidate has either denied the claim or refused to acknowledge it. Hence, it appears that the real identity of Satoshi Nakamoto will continue to remain a mystery until the time that the real Satoshi Nakamoto decides to step forward.